Welcome to Weapons of Mythology ~ New Age ~! 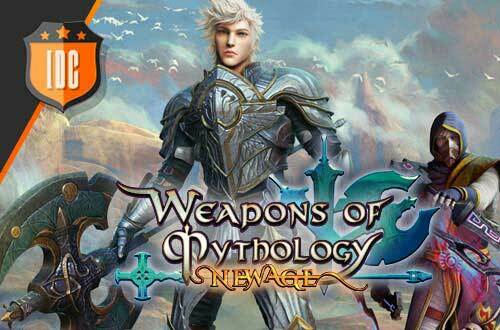 Weapons of Mythology ~ New Age ~is a free-to-play fantasy MMORPG built with Unity 3D engine. In this game, you will fight the dark side using over hundreds of powerful relics and with help from pets that can acquire human shape. Set during the period of Chu Han Contention, the game focuses on two rival sects: The Zhan and the Jie, serving different kings, and fighting for the ultimate ancient Relic. Meanwhile, the evil Morkans seize the opportunity and rise from the underworld to cause havoc across the land. In times of war and chaos, the one who wields the Relic will be the only true savior! Enticing battles wait for you in Weapons of Mythology ~ New Age ~. Be ready to participate in exciting PVPs fights, epic boss hunts, and guild territory wars. Five character classes are available: Vajra, Ascension, Solar, Lotus and Mist. Choose yours and immerse yourself in this big open world, full of surprises and possibilities. You will be impressed by the diversity of landscapes and skills of each character. Create or join a guild and play with your friends. Choose among Hundreds of Relics to suit your combat strategy. Don’t forget to bring with you into combat your personal pet that will help you fight, loot, and even run your errands! Enter now Weapons of Mythology ~ New Age ~ and become the best fighter of its world!